To make a reservation, please use the widget below, call us at (510) 647-9525 or email info@lamarchaberkeley.com. Due to the limited amount of tables in our restaurant, we cannot guarantee a private table. Some reservations will be seated at the bar or communally. If you prefer a table, please call or make a note and we will do our best to accommodate your request. To make a reservation for 10 or more people, please call (510) 647-9525 between the hours of 4pm – 10pm. 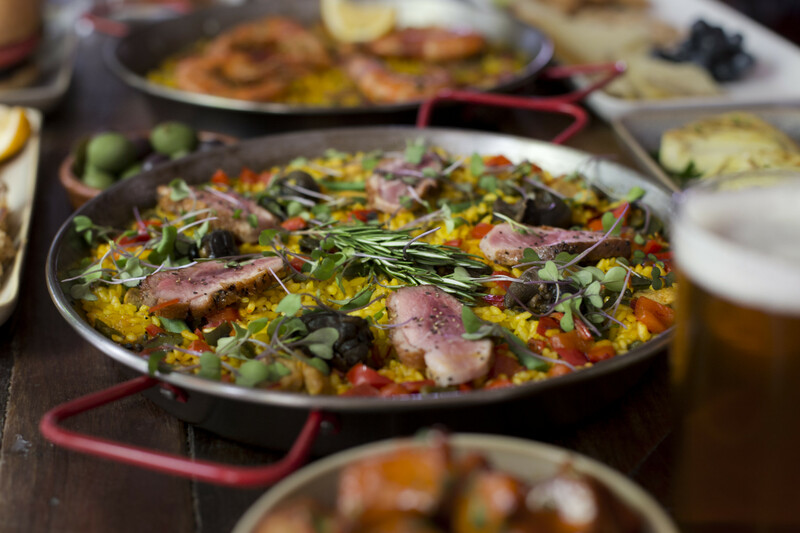 All large parties are required to order the Chefs’ Menu of the Day at $40 per person, which typically includes an array of tapas, several paellas, and dessert. We will happily accommodate any dietary restrictions in your large party. Please note we have a 3 hours time limit for large parties. La Marcha restaurant is located 2026 San Pablo Ave., Berkeley CA 94702. Our nearest cross street is University Avenue, located 1 mile from the University exit off I-80/I-880. Please visit our reservations page to make a booking.